Each year we have one big contest. This year the contest is for FREE Wedding Invitations. Your choice of any invitations with a retail value of up to $600. 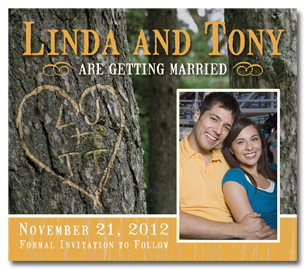 Pocket Invitations, Themed Invitations, Save the Dates and so much more. Submit your information by 12/31/2010. Winner determined by 1/1/2011. Good Luck! !